The Withings Activité is finally available for pre-order ahead of a pre-Christmas release date, and it seems that the French company has put a premium on the design of its new activity tracker. A £320 / $450 price tag has been placed on the Swiss-made analogue watch with built-in activity tracking smarts, which puts it at over $100 more than the Apple Watch starter price and roughly double the price of current Android Wear smartwatches. The price tag places the Activité in a tough position. As an activity tracker, there’s none more stylish, but in terms of real benefits, it doesn’t deliver that much when compared to the latest smartwatches. It’s clear that engineering the Withings Activité in Switzerland has taken its toll on the price tag, and compared to the Apple Watch, it would seem crazy to pay more for the Activité. There are, however still upsides to the analogue activity tracker. The design is superb, the battery life will last a year compared to a single day from the Apple Watch, and Withings has a fantastic health-tracking ecosystem with the Smart Body Analyzer, blood pressure monitor and Aura sleep tracker. The problem is that the wearable market is moving at a breakneck pace, and even within the last week the game has changed again. Big names such as Fitbit and Jawbone have slashed the cost of their basic activity trackers, and placed exciting new tech into their flagship devices. The Withings enjoys neither a low price nor advanced tech, but the company is banking that desirability can still persuade consumers to part with their cash. 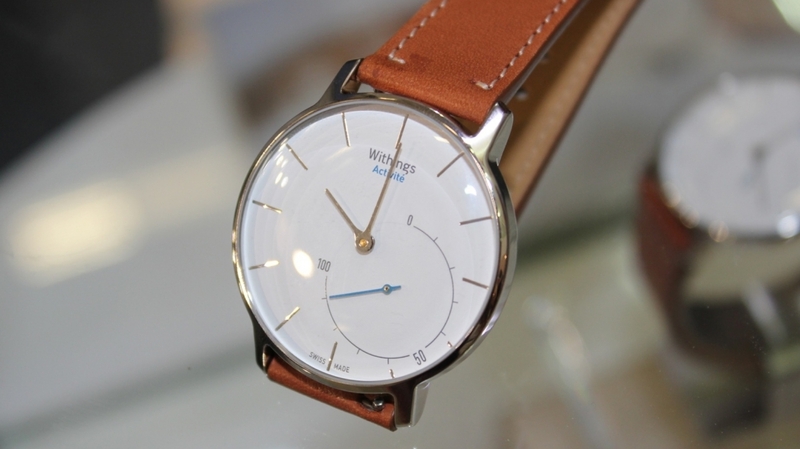 The Withings Activité is available for pre-order today, and will be shipped by the end of November.